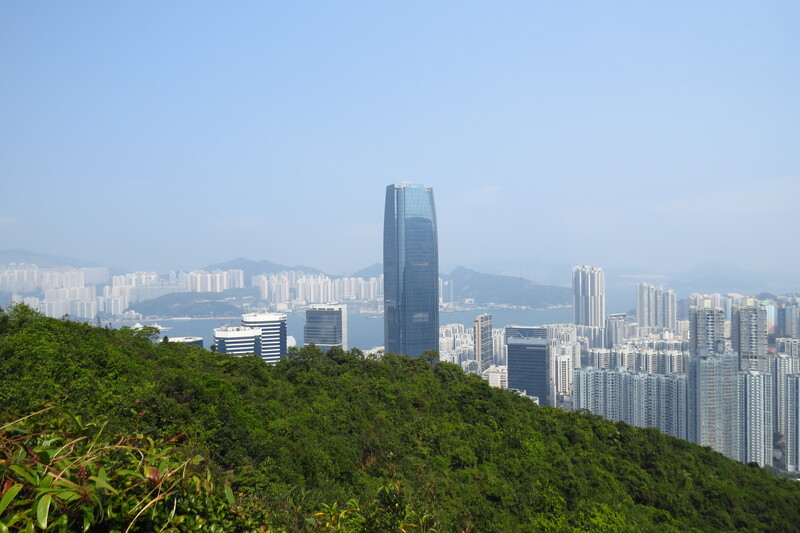 In previous posts, I’ve pointed out that Hong Kong, despite being famous for its concrete jungle, is actually covered by a lot of mountains and nature parks. 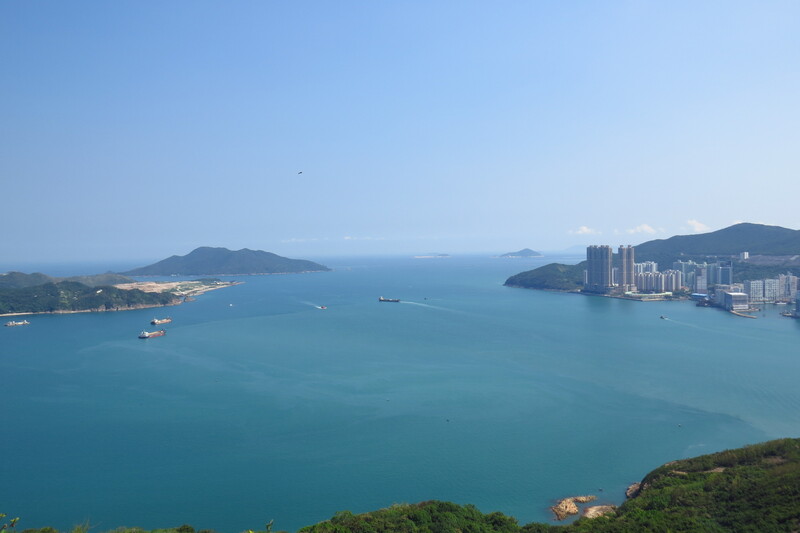 But besides that, Hong Kong is also a maritime city, surrounded by water and virtually next to the Pacific ocean. Well, specifically, it’s the East China Sea, but that leads to the Pacific. 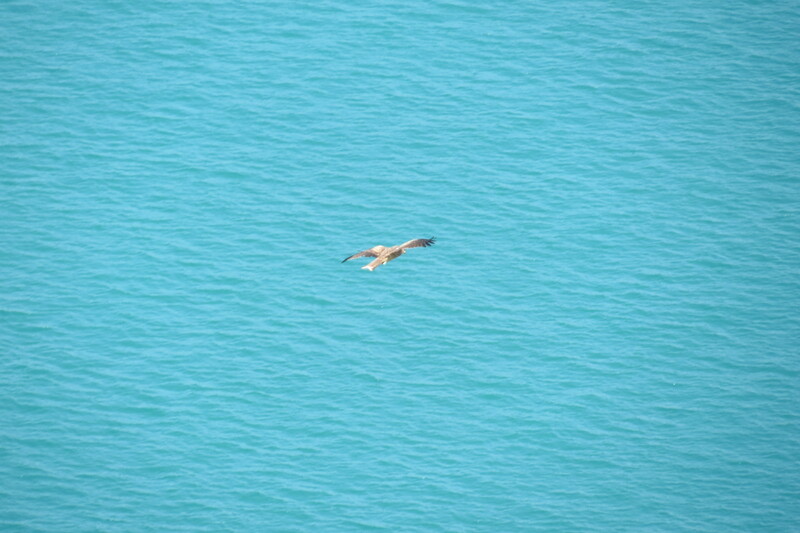 So Hong Kong is also full of coves, bays, and even beaches, as well as lots of small islands. While some of these places require a bit of hiking and/or a long transit to get to, others are a few subway stops and a short hike away. 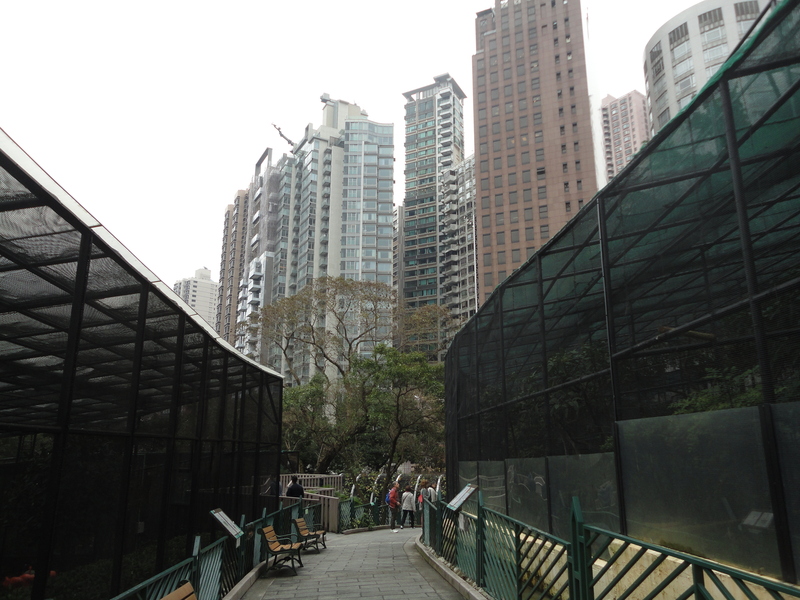 One such place is Lei Yue Mun (Carp Channel) near Yau Tong, on the eastern edge of Kowloon. 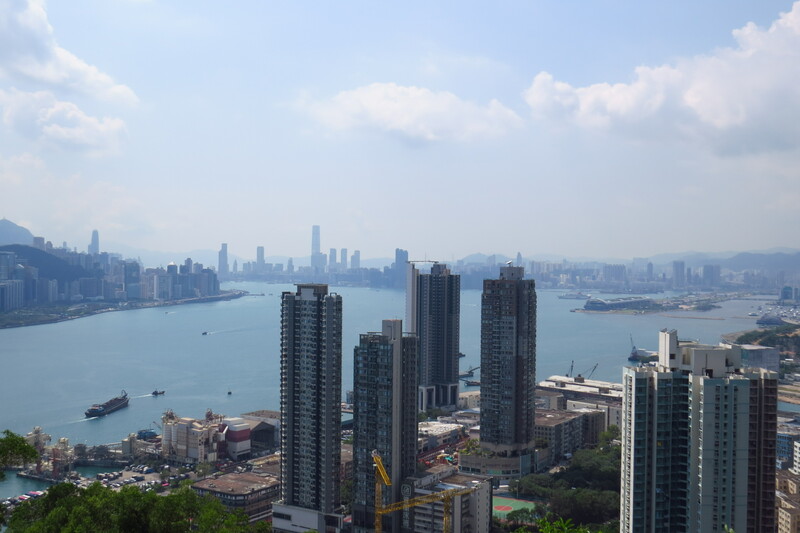 Between Yau Tong and Hong Kong island, there is a narrow gap that leads to the sea to the east, while to the west is Victoria Harbour. 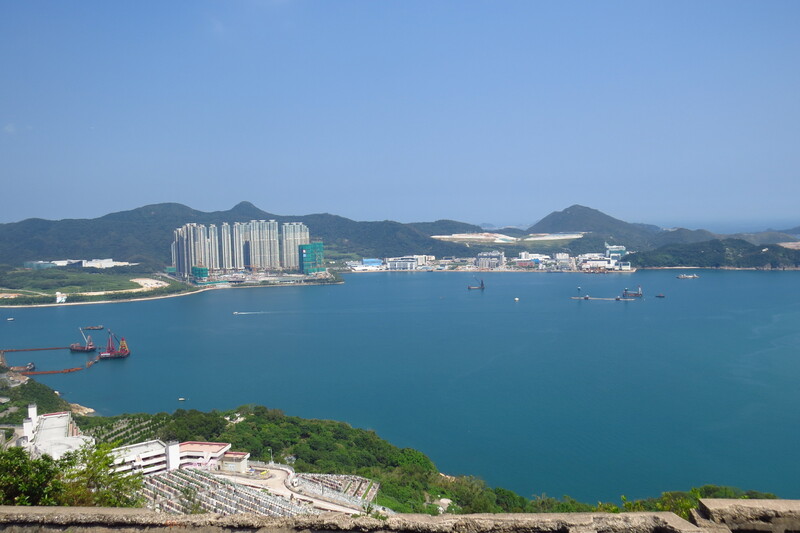 The two sides of the gap collectively are called Lei Yue Mun. 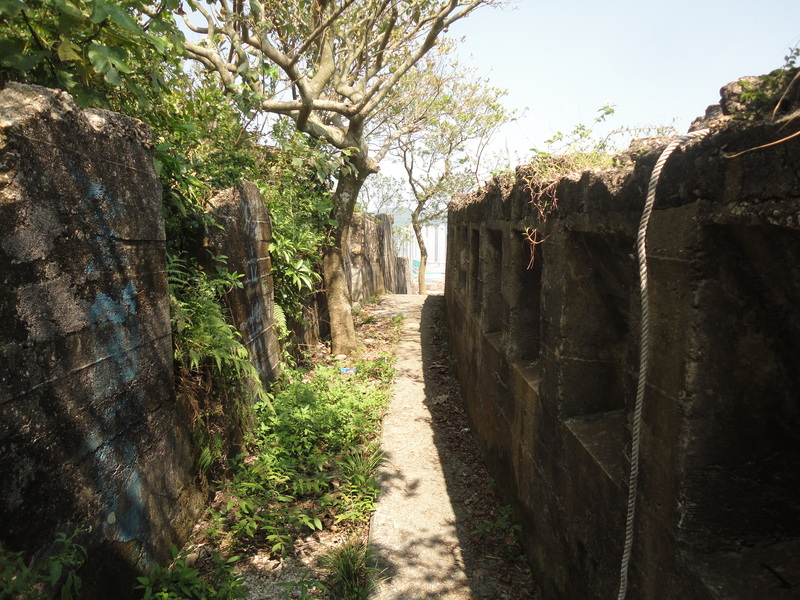 In the old days, this was a vital strategic point that guarded the eastern side of Victoria Harbour from enemy ships. 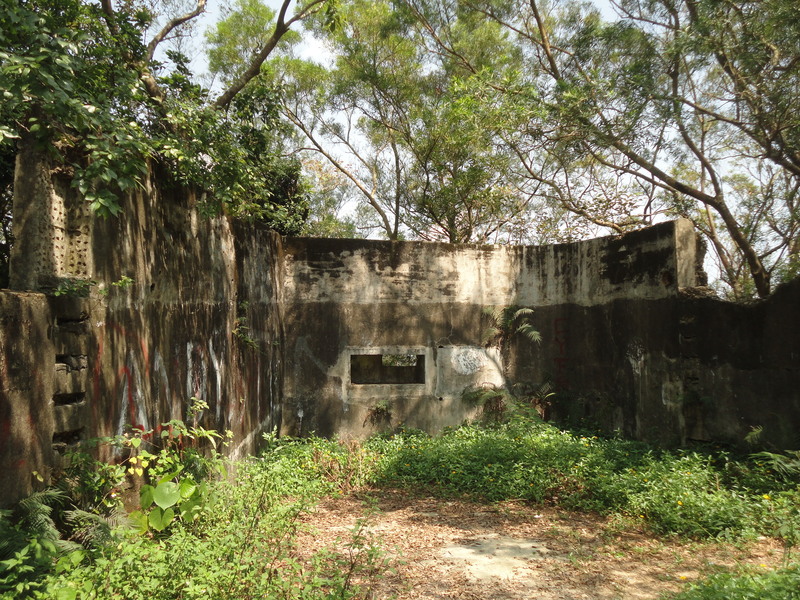 As a result, the British built forts and gun batteries in Lei Yue Mun. 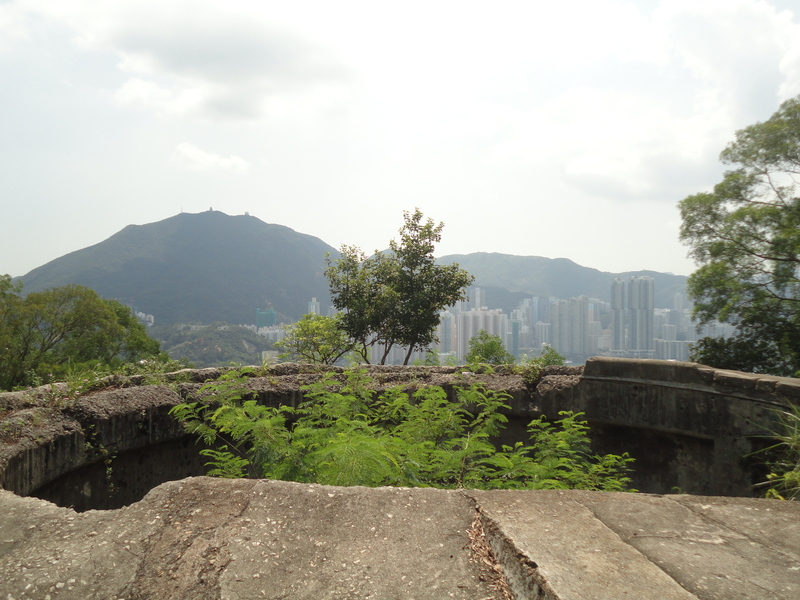 In Yau Tong, you can see the remnants of some of these battery walls, but not cannons, on Devil’s Peak, which is only a little over 200m high, but has some brilliant views of Junk Bay and the sea. 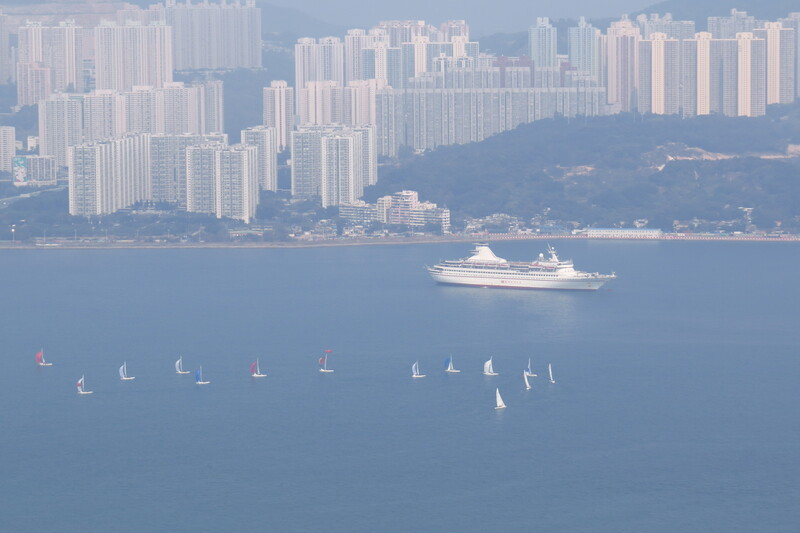 You can also see Victoria Harbour as well though that is partly obscured. 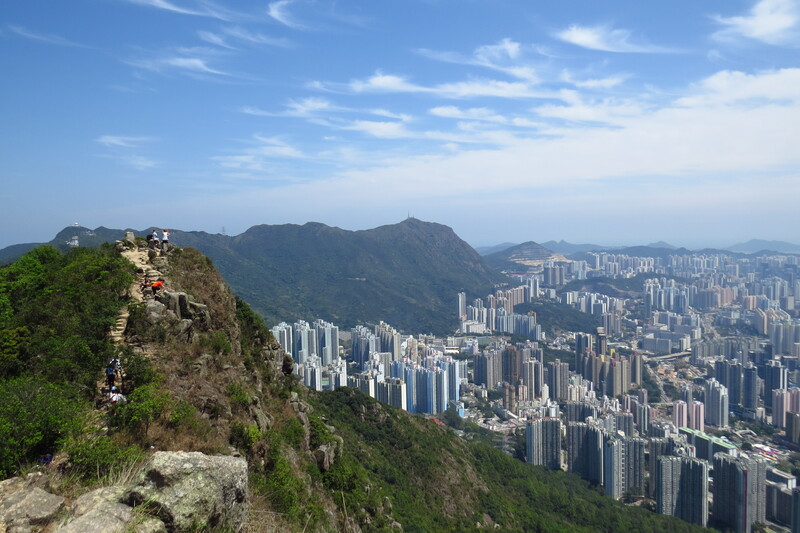 Despite its name, hiking Devil’s Peak isn’t that hard, but it does involve a long walk from Yau Tong subway station to the trailhead along a steep road (the Lion Rock hike is also the same – the walk to the trailhead from the subway is harder than the actual hike). Once you get onto the trail, it takes about 20 minutes or less to reach the summit and gun battery. 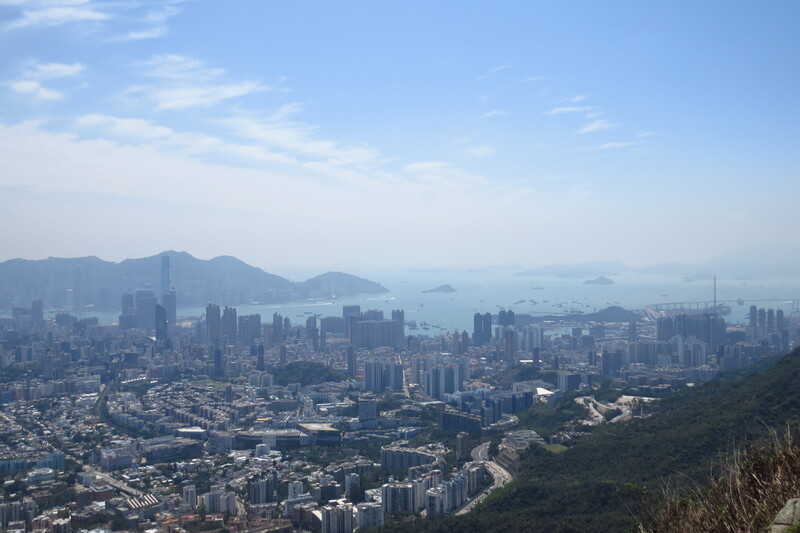 As one of Hong Kong’s most well-known mountains, Lion Rock is regarded as a symbol of Hong Kong’s working-class resilience as it developed into a prosperous financial hub in the latter half of the 20th-century. This originated from a local 1970s TV show called “Below the Lion Rock” about working-class families living in communities below Lion Rock. 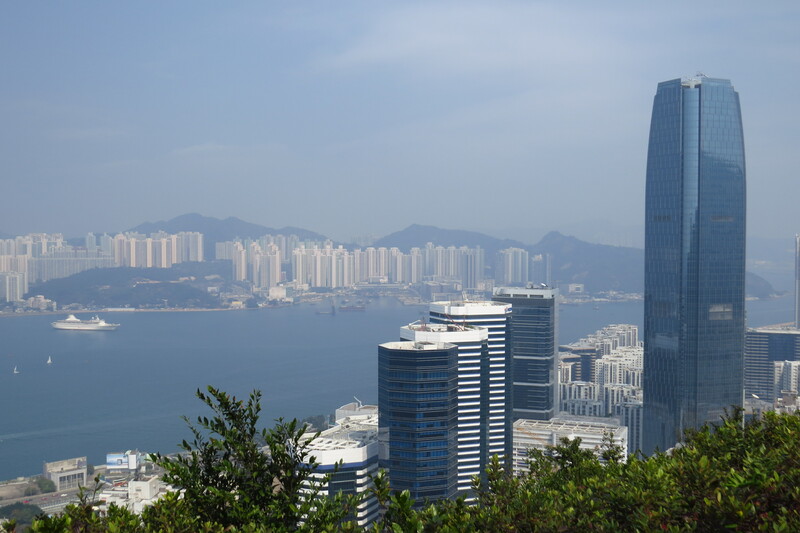 At 495m, it is not very high but it commands the best views of urban Hong Kong, letting you take in Kowloon, Hong Kong island and even the smaller islets in the west. 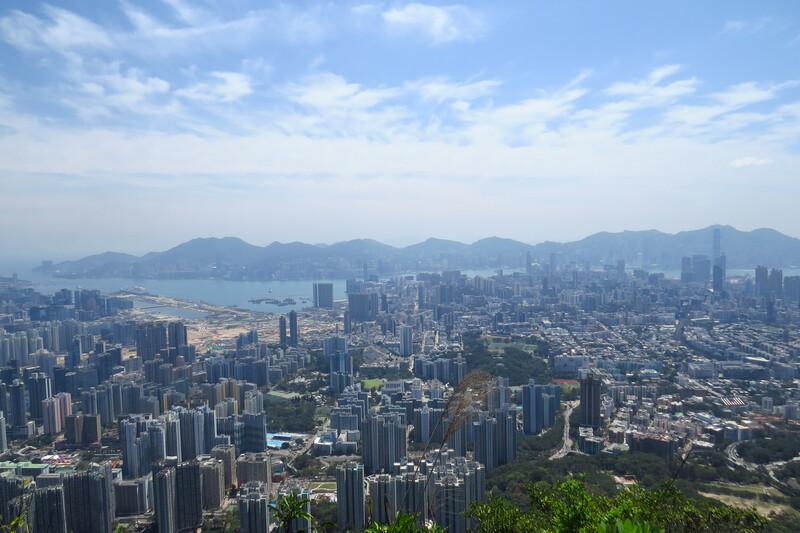 To have so much of Hong Kong spread out below you is a fantastic feeling, though one which you will likely have to share with dozens of people around you on the peak. 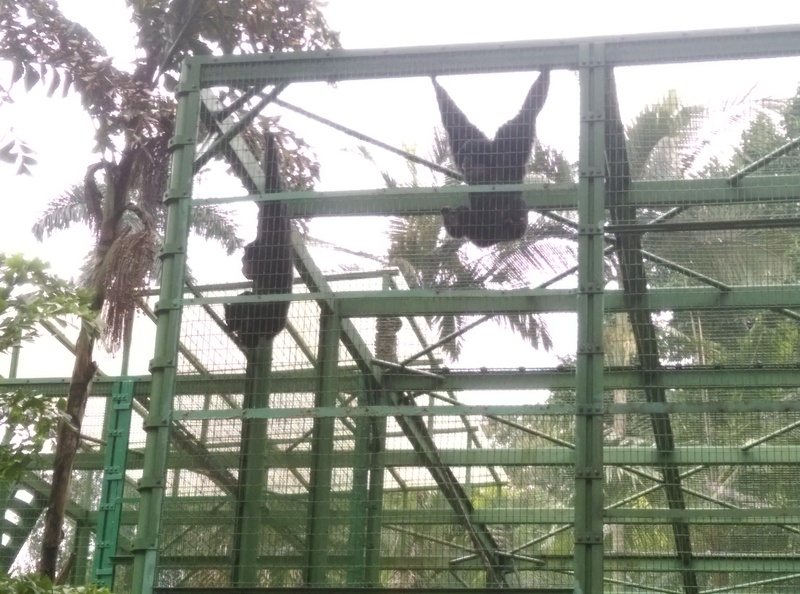 Lion Rock also has a special role in recent politics as a physical platform to express ideas. 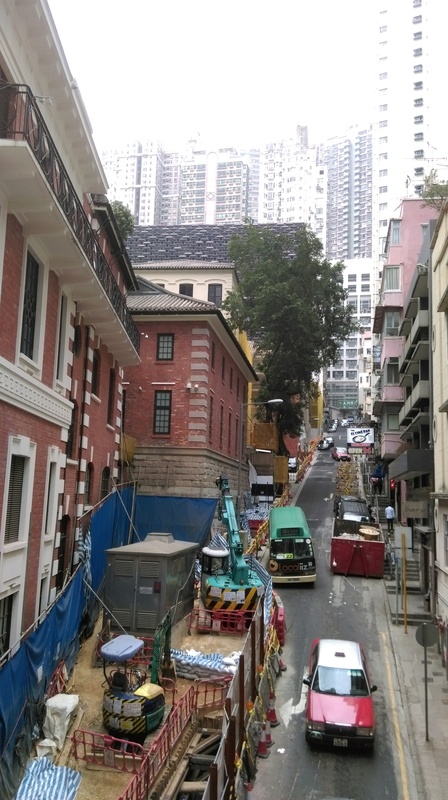 Since the Occupy Central protests in 2014, Pro-Hong Kong democracy activists have scaled its cliffs to hang political banners, which were then promptly taken down by the police. 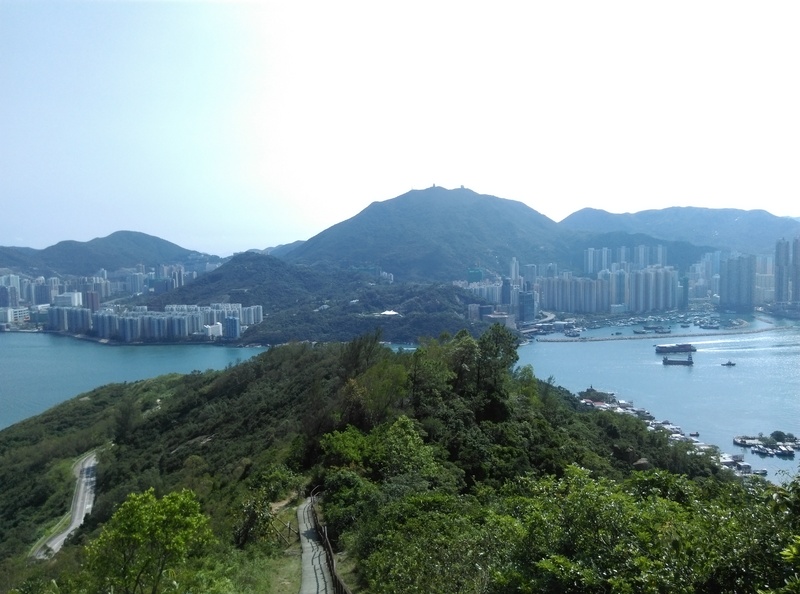 I climbed Lion Rock from east to west, going from Wong Tai Sin MTR station to the Shatin Pass Road, going up the trail head there, and coming down by a small garden to Chuk Yuen Road. 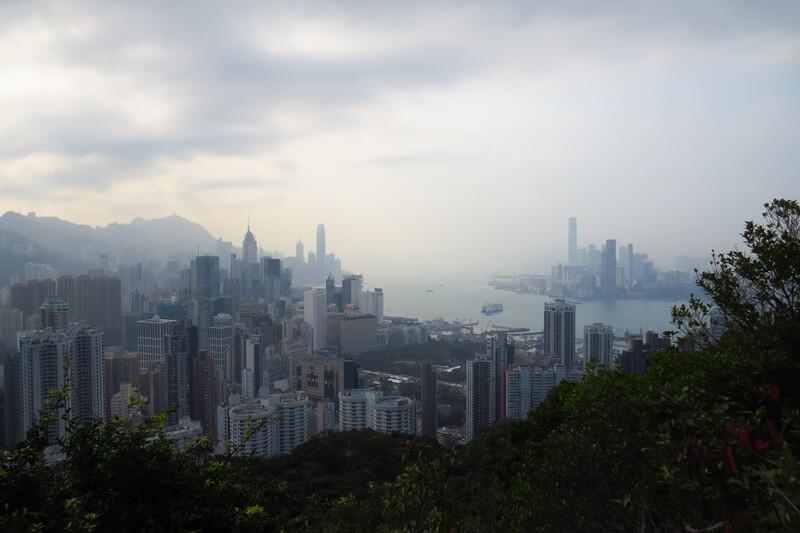 I followed the directions here, which is an excellent site for Hong Kong hikes. 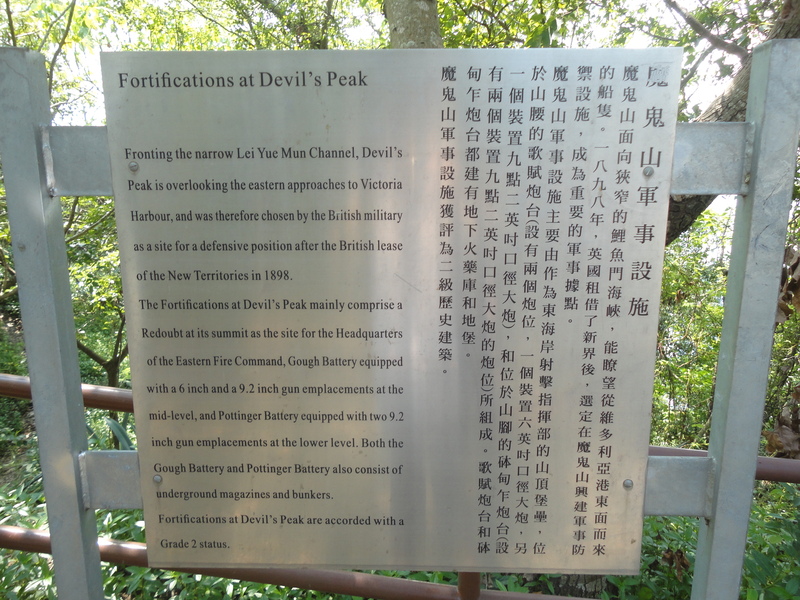 The walk to the trailhead on Shatin Pass Road was probably the most gruelling part. 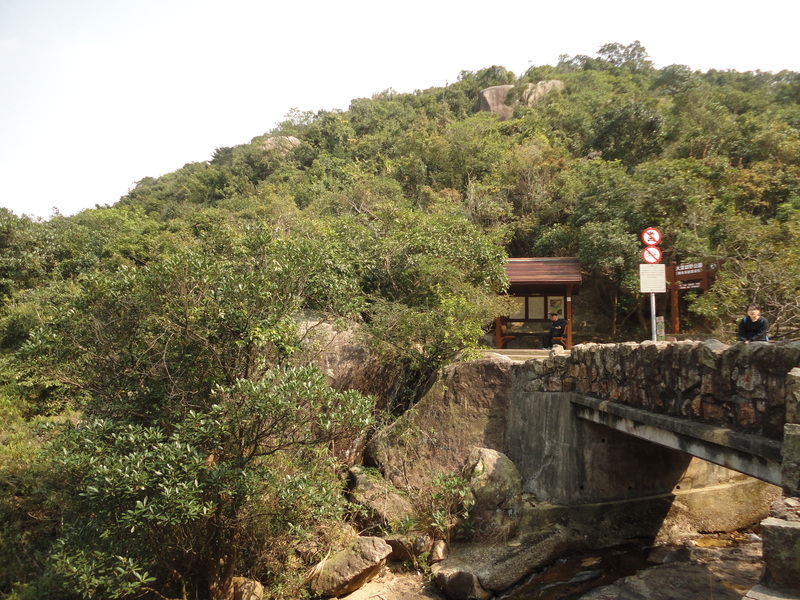 It is a funny trait of several Hong Kong hikes that the walk to the trail is much tougher than the actual hike itself. 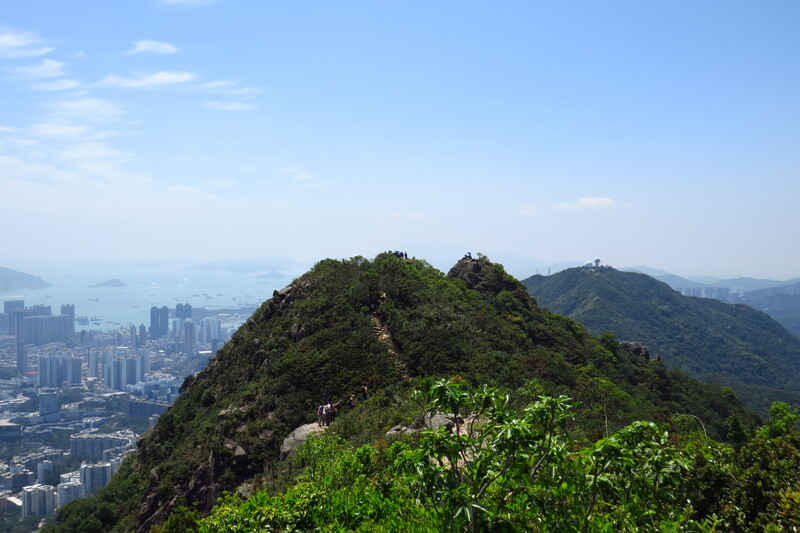 The Peak hike on Lugard Road is the same in that the walk to the trailhead from Sai Ying Pun station is the most arduous part. 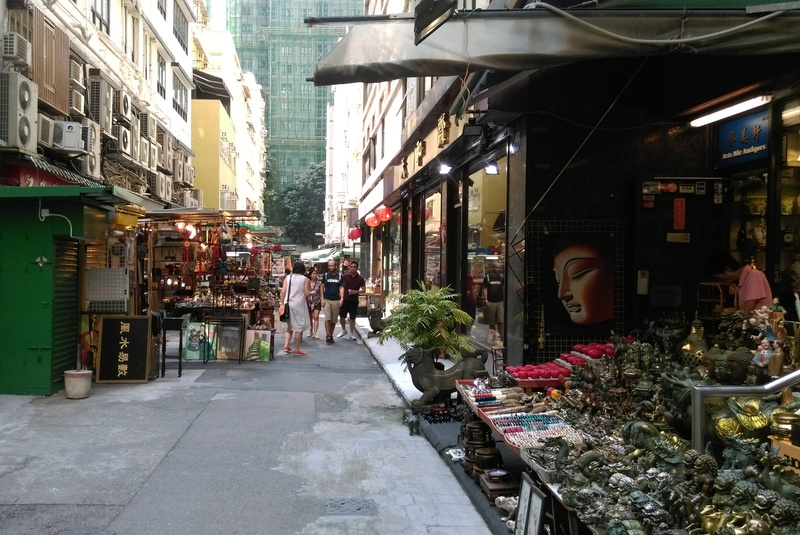 Nestled deep in the midst of Hong Kong’s business heartland, Central, is a secret. 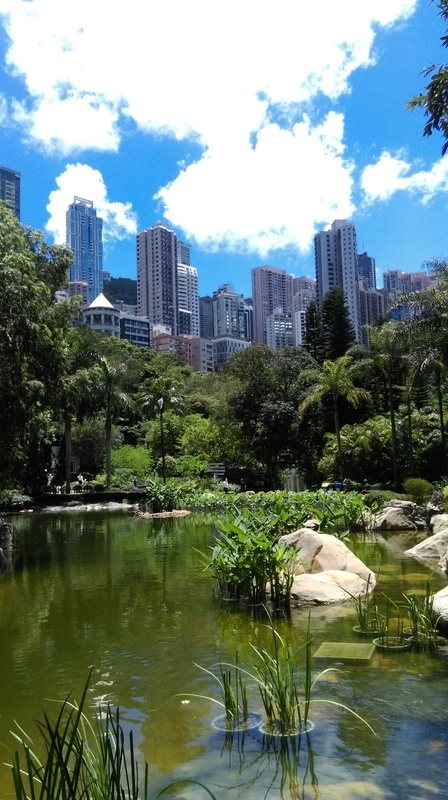 Hong Kong does not have a real zoo but what it does have is the Hong Kong Zoological and Botanical Gardens, a small animal and bird park in Central. 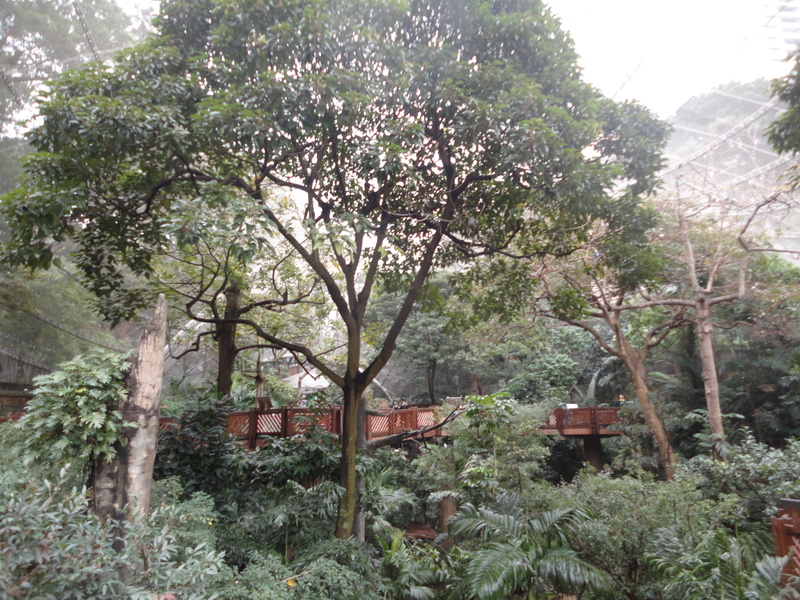 Its location is smack in the middle of the business district, on the lower slopes of Victoria Peak, so you are surrounded by a “forest” of skyscrapers whilst staring at animals and birds in cages. 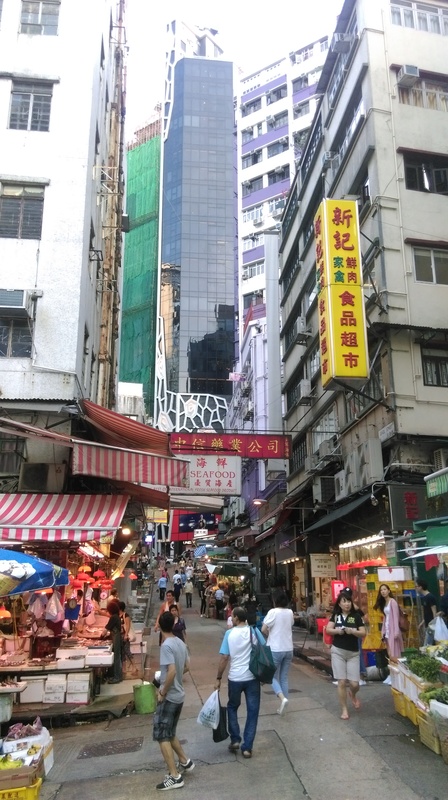 Last year, I came to Hong Kong to interview for my job, which I am actually leaving very, very soon. 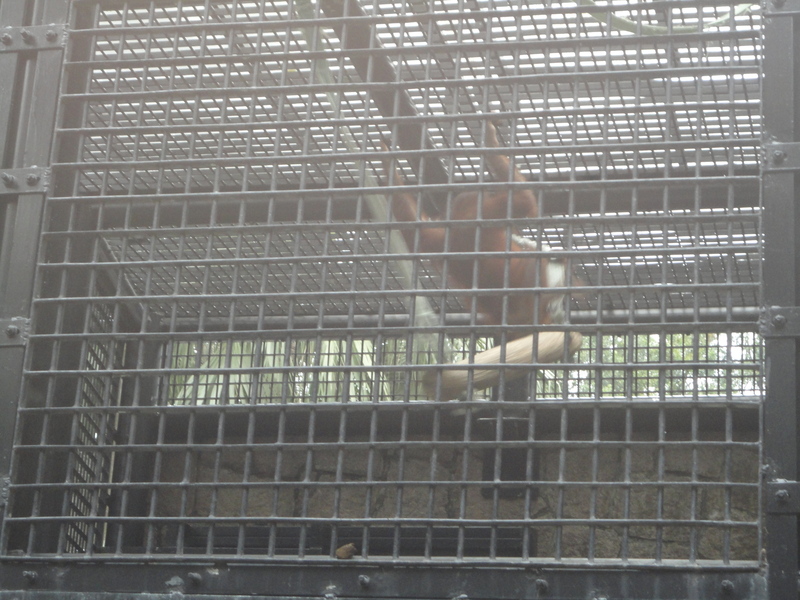 The day after, I visited this local “zoo.” I also visited it a second time when hiking down from the Peak earlier this year. 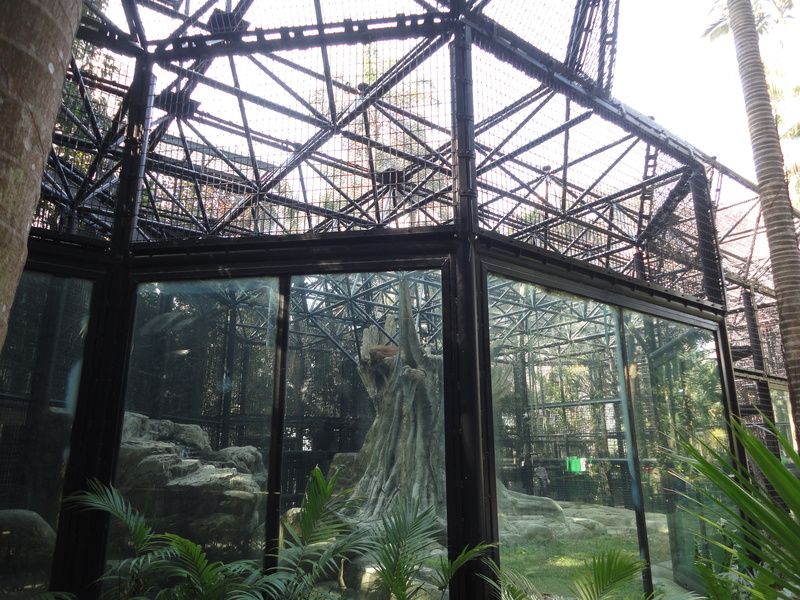 It only has a couple of orangutans, by far the biggest animals there, as well as monkeys, meerkats, tortoises, and birds. 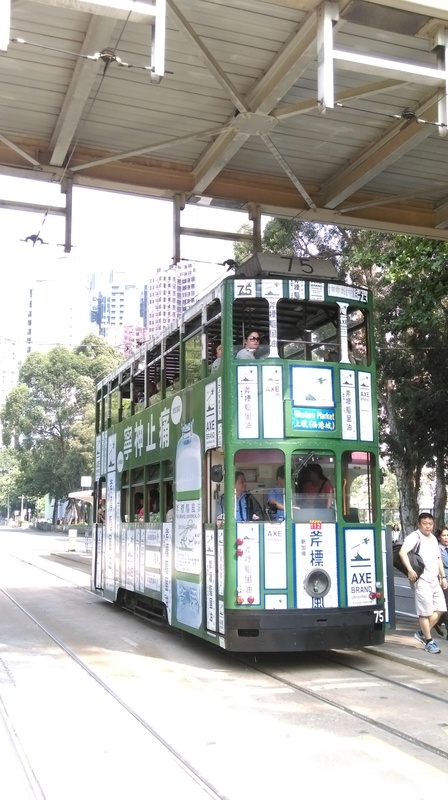 But as it is free, it is decent so if you find yourself going down the Peak on foot or wandering around in Central, do visit it. 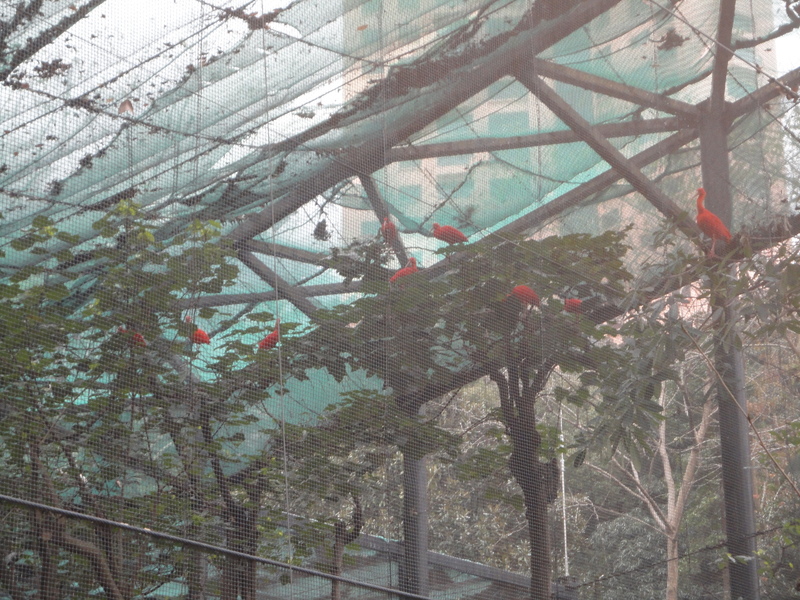 Of course, it’d be better if Hong Kong had a proper zoo. 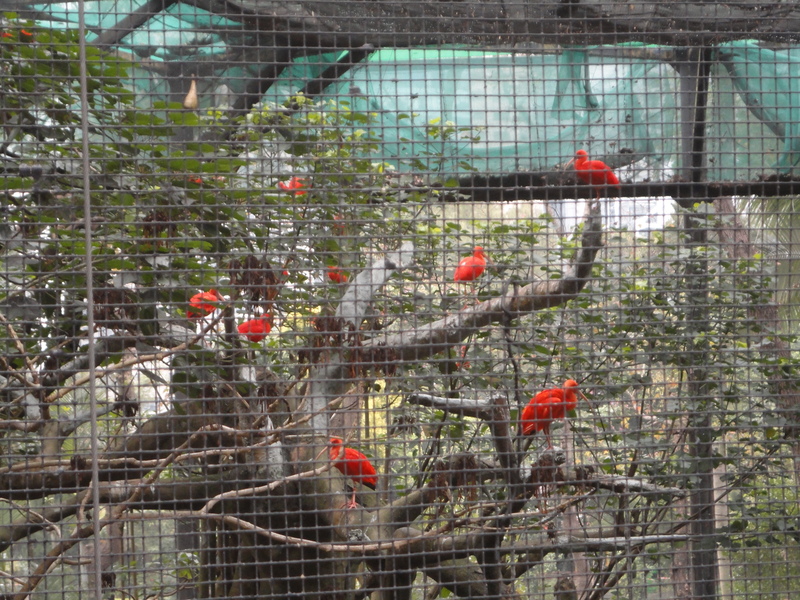 The zoo even has the scarlet ibis, the national bird of Trinidad and Tobago. 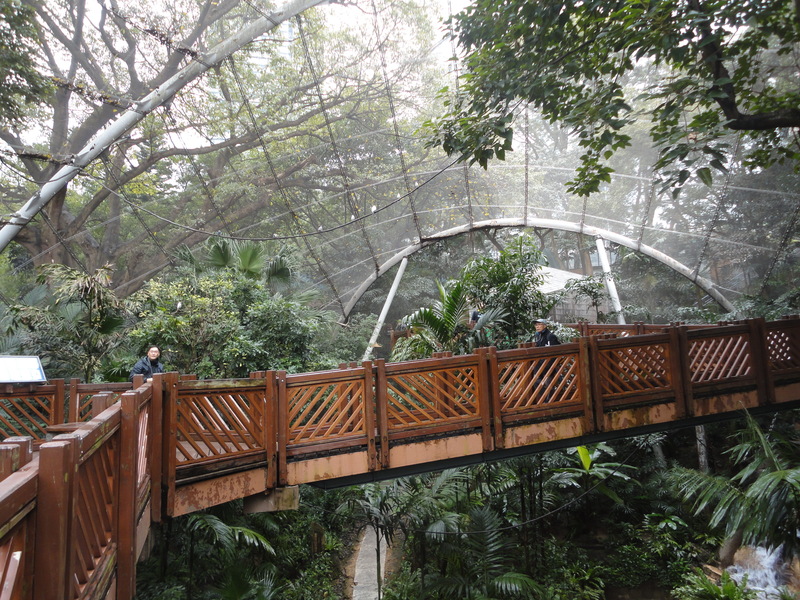 Across the road from Hong Kong “zoo” is Hong Kong Park, an impressive place that features a greenhouse, several gardens, a large carp pond, and a giant bird aviary. 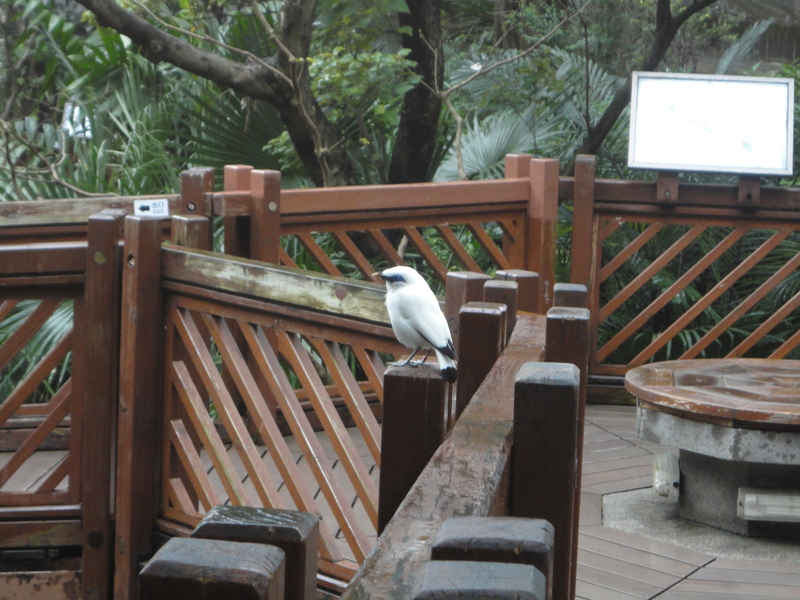 Like the zoo, Hong Kong Park is free as well. 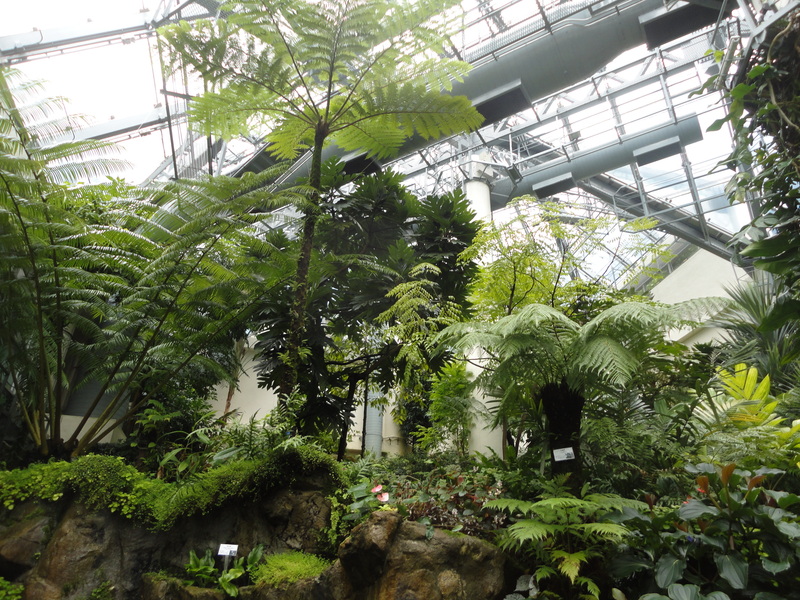 It is also a nice place for lunch breaks as it is close to my office. 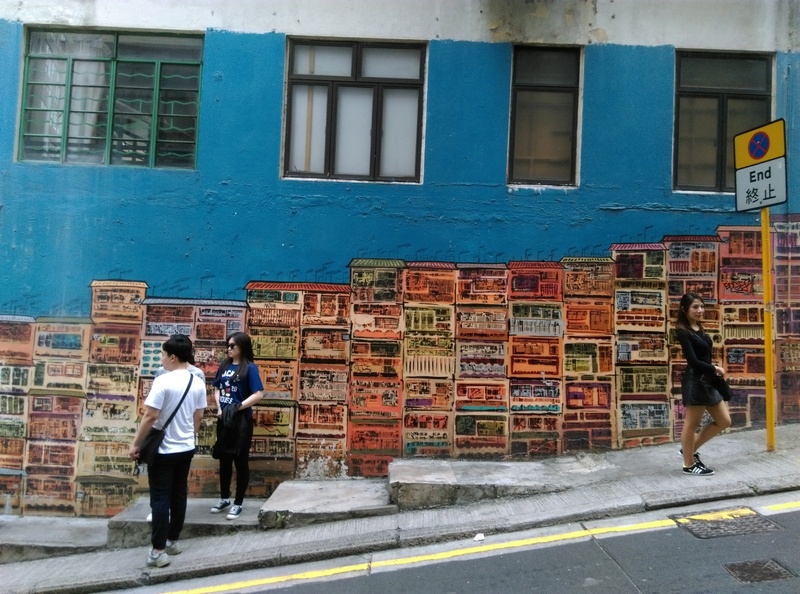 Urban Hong Kong might be crowded, cramped and noisy but it still makes for interesting sights. 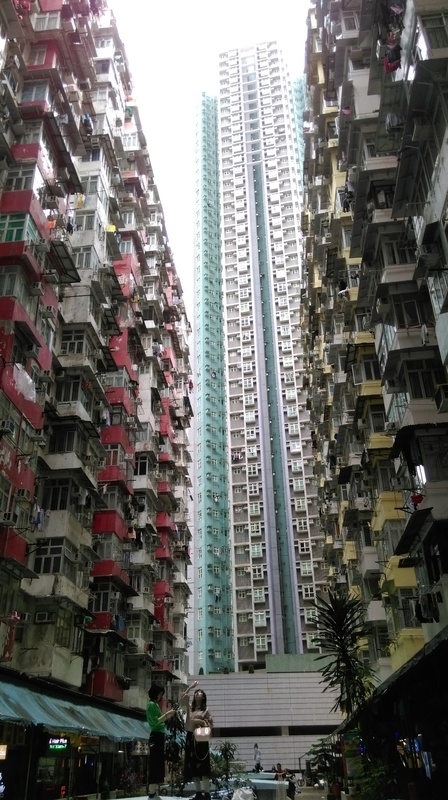 It is probably the most built-up urban environment in the world, especially on Hong Kong Island, which is very hilly but apartment towers line the slopes of upper Central, Sheung Wan and Mid-Levels all the way up to just below the Peak. 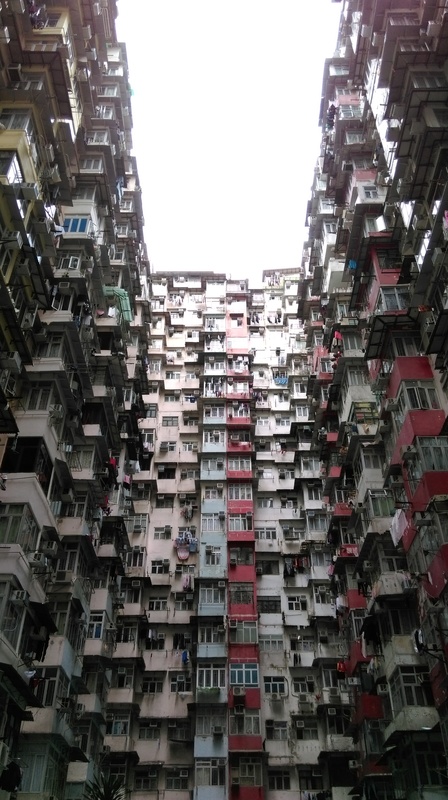 It is an impressive sight but on the other hand, the actual living spaces in a lot of the buildings (not Mid-Levels) are not, such as older towers, especially in Kowloon but even in supposedly trendier neighborhoods like Sheung Wan. 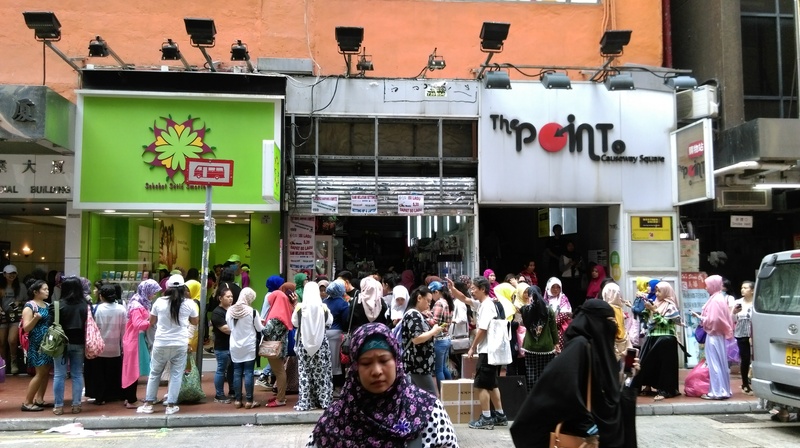 It would be nice if the authorities spent more time, effort and funds on renovating existing buildings and neighborhoods, especially historical ones. 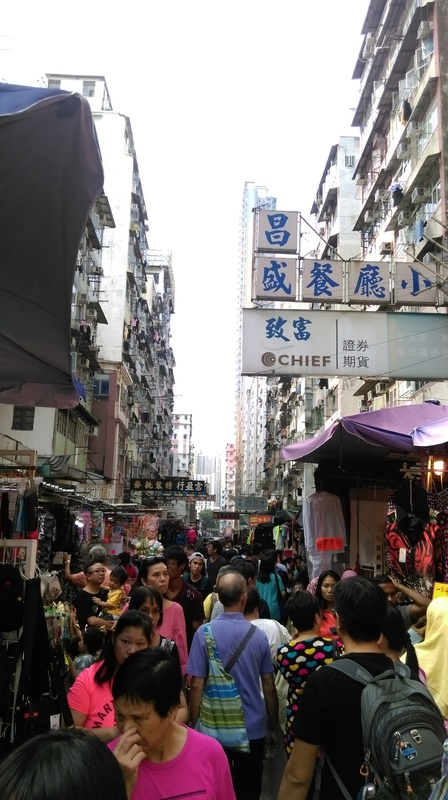 I usually don’t go to these kinds of street markets as they are too crowded for me. 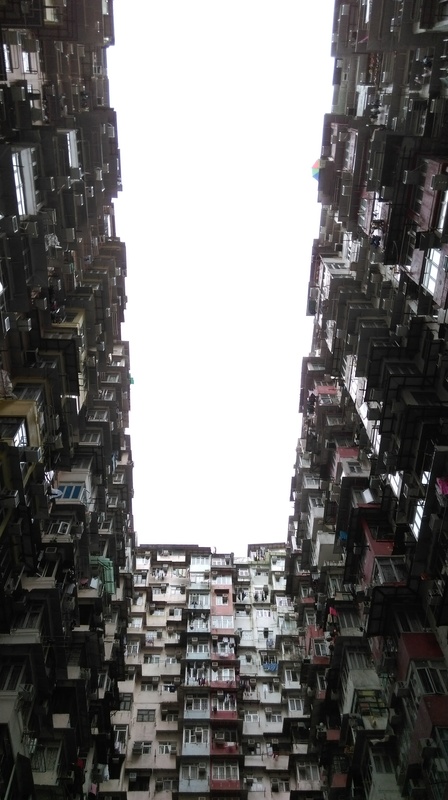 Above photo and the following two are from the inner courtyard of Yick Fat Building, a public housing estate in Quarry Bay. 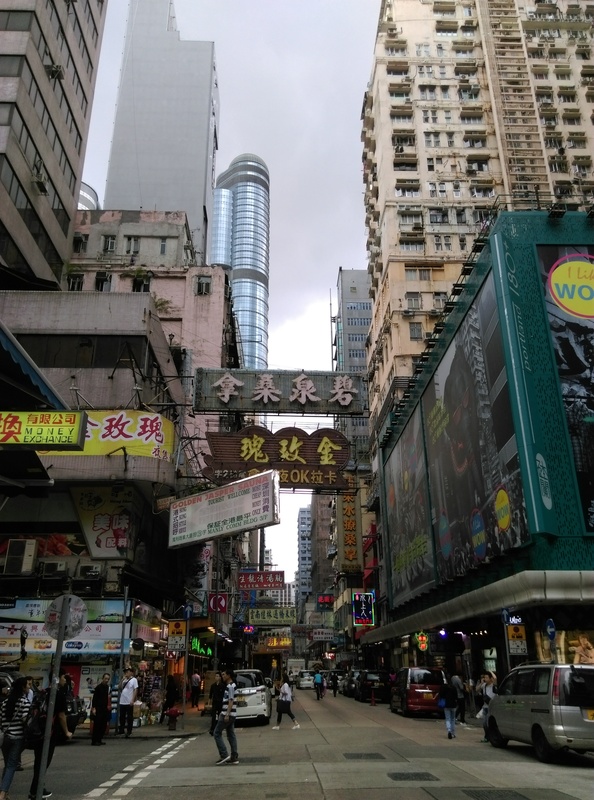 A scene from Transformers 4 (the one with scenes in Hong Kong and China) was shot here. 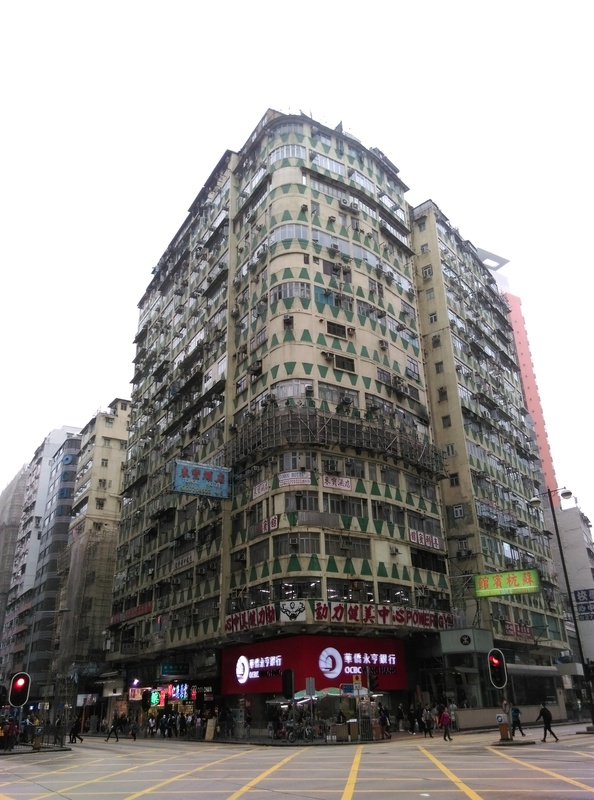 The next four photos are of Central and Sheung Wan. 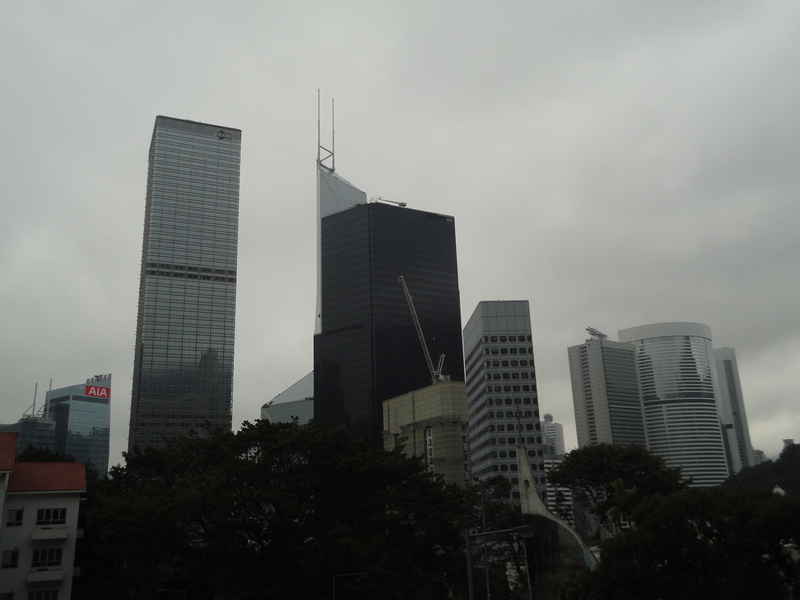 Hong Kong is covered with hills, and Hong Kong Island, where the main business and government offices are, is no different. 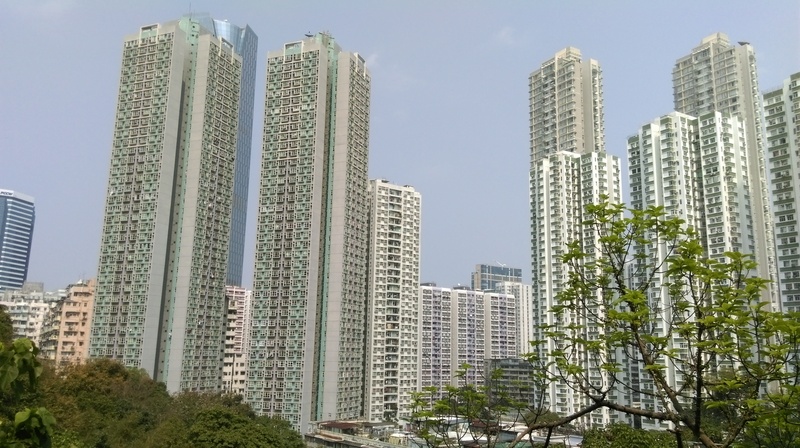 It makes a very striking contrast when you have forested hills and skyscrapers juxtaposed with each other. 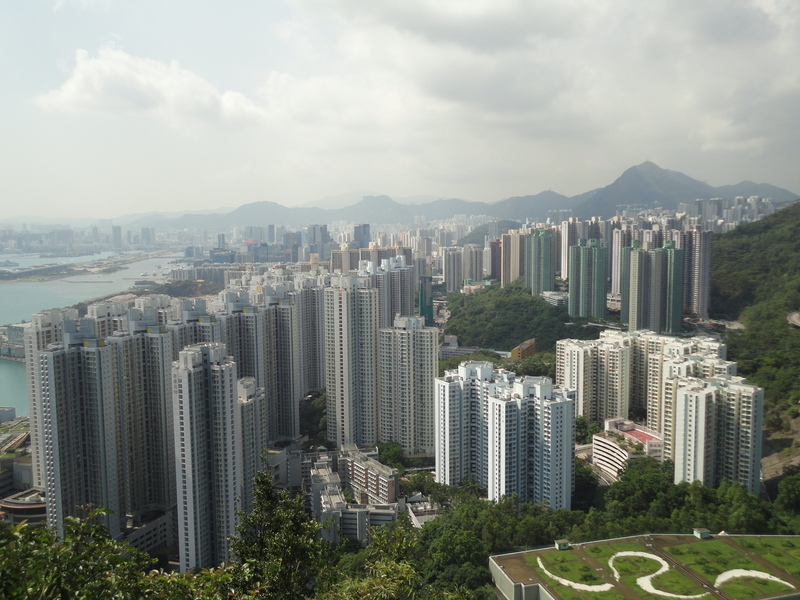 Previously, I’ve posted about the Peak Lugard Road hike which provides the best urban sight from above in the world. 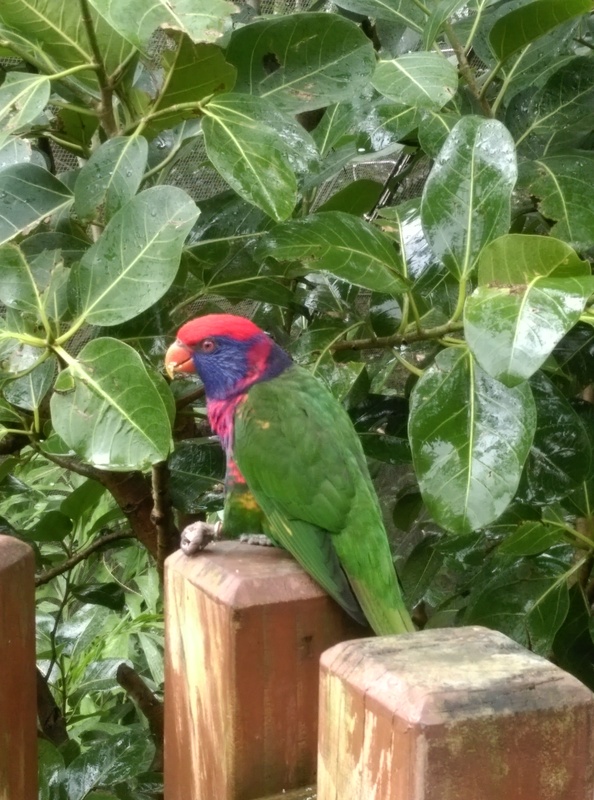 Well, Braemar Hill, near North Point on the other side of the island, also provides fine urban views. 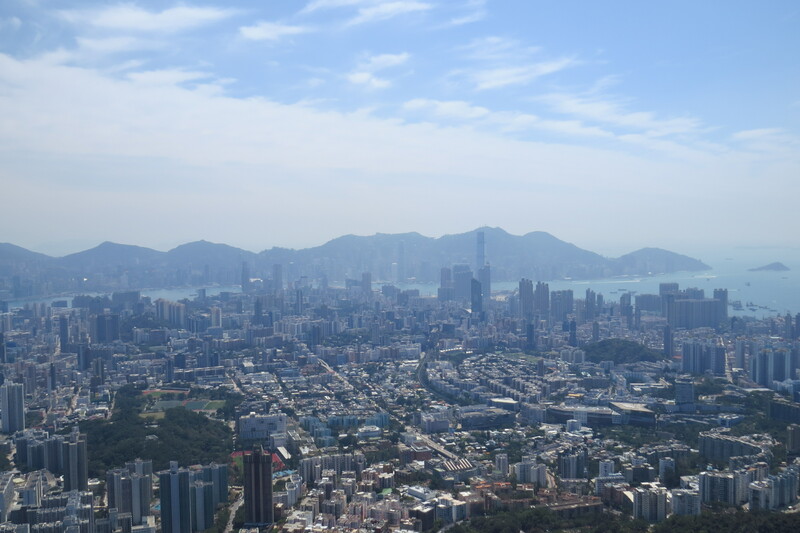 More specifically, these fine views can be seen atop a pile of boulders that form a vantage point called “hong xianglu feng” (紅香爐峰) in Chinese (according to Google Maps). 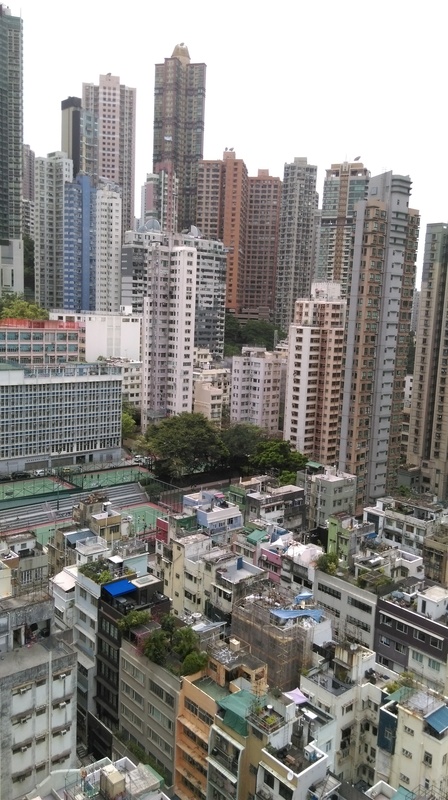 What you see is on your left, Wan Chai and its distinctive Hong Kong Convention Center by the waterfront, and on your right, Kowloon. 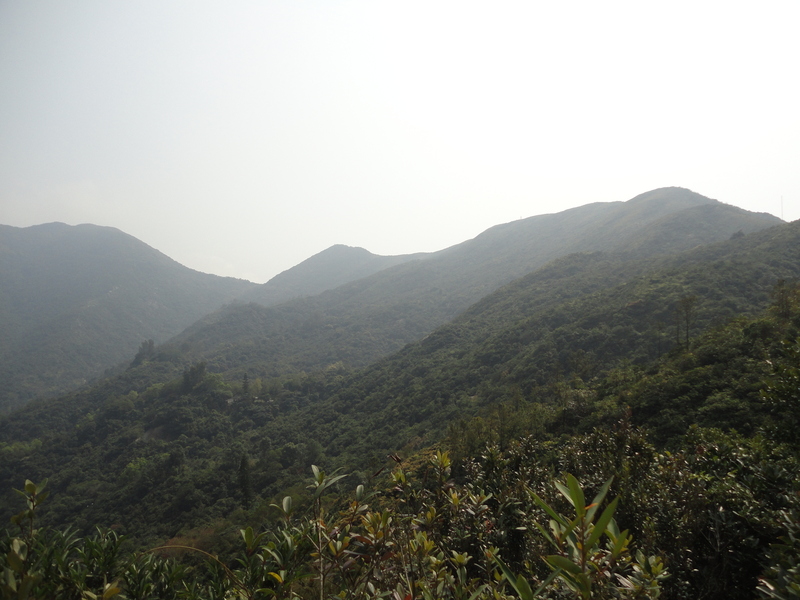 Further to the left or behind you can see lush forested hills that make up Tai Tam Country Park. 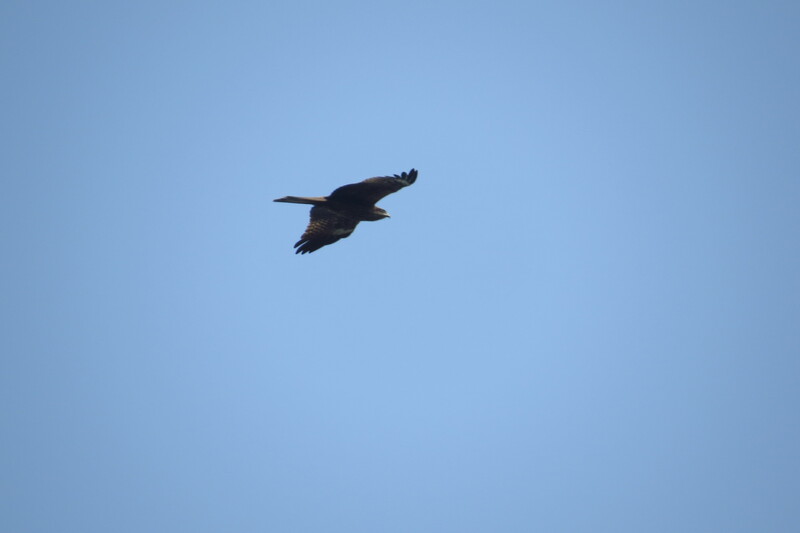 It was a bit hazy on the day I went, so the views would be even better on a fine day. The dirt path to the boulders lies just off the main trail which is a concrete path. The hike itself is not very hard, taking less than one and a half hours walking from the ground, though there are several trails that extend further south and towards higher hills. 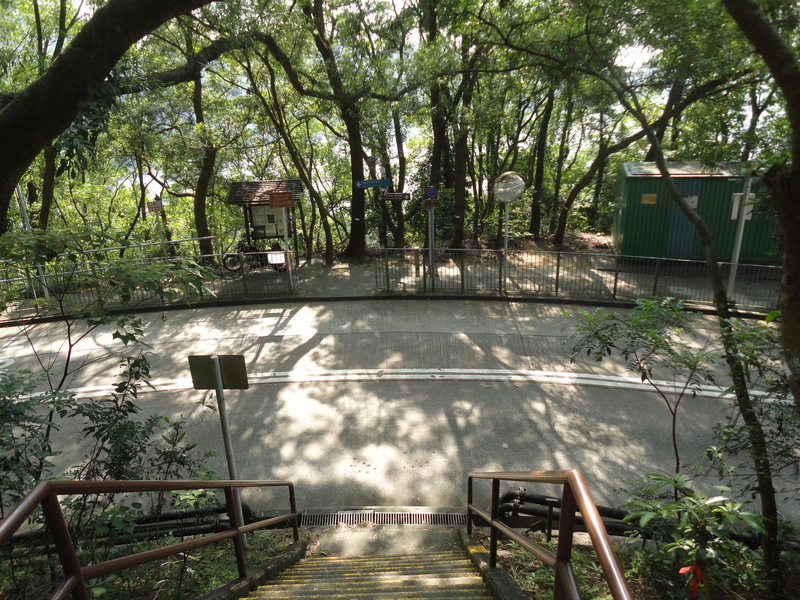 I headed up to Braemar Hill from Mount Parker Road which is several minutes’ walk west of Tai Koo MTR Station. There is an alternate route (I did it the opposite way from east to west). The dirt path in the center, which is just off the main trail, leads to the boulders in the photo above. 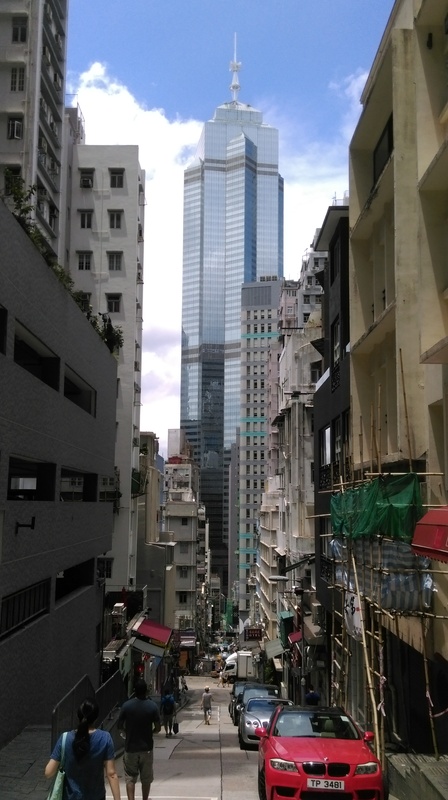 It’s like you’re never far from a jungle of towers wherever you go in Hong Kong. This is at the beginning of the trail.